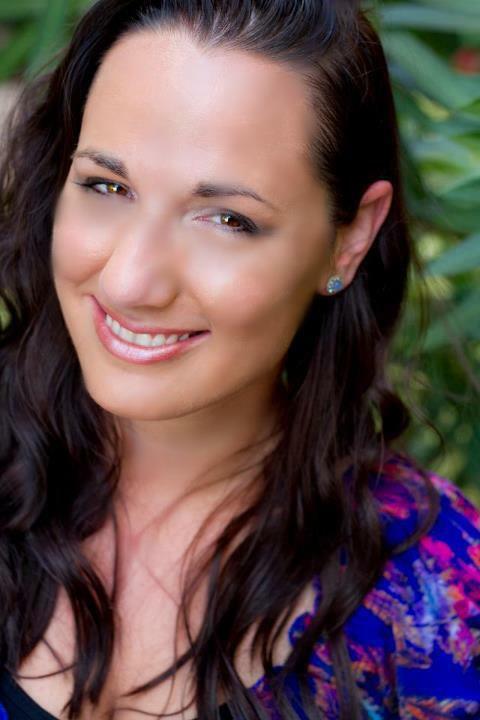 Interview with Jennifer L. Armentrout… and a Big Announcement!!! 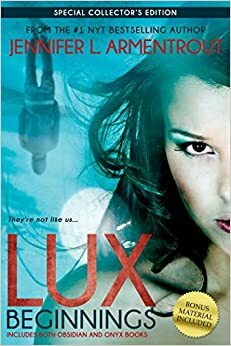 Last week I had the opportunity to spend some time with bestselling author Jennifer L. Armentrout on the release day for Opposition—the much awaited finale of the Lux series. Fans (including me) were super excited to have the book in their hands and listen to Jennifer talk about Katy, Daemon and the rest of the gang at our local BookPeople. 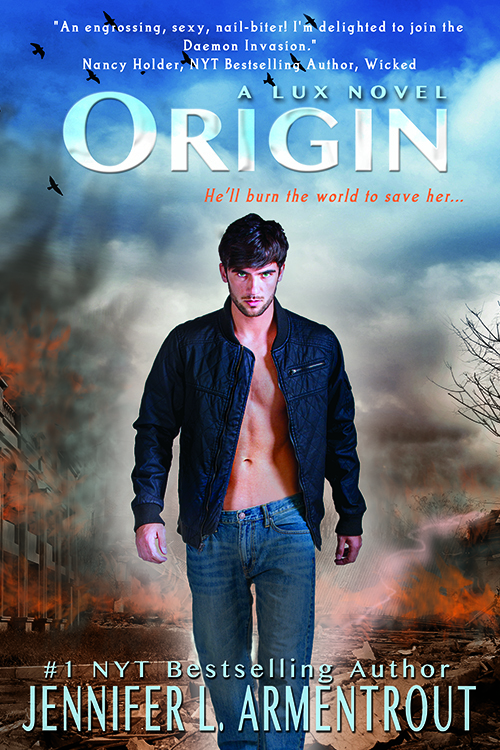 Our surprise guest was none other than the bad boy himself, Daemon Black, who took a break from saving the world to make it down to Austin, Texas. We (and I speak for everyone there) kept it strictly professional and were so pleased to meet him in person. (It should be noted he was rather intense in real life). Before the craziness began, I sat down with Jennifer to talk Opposition, upcoming releases and so much more … AAAANNNND, Jennifer surprised me with some big, huge, exclusive, superduperexciting news on her new project! You’ll have to listen closely and catch her announcement near the end of the interview! 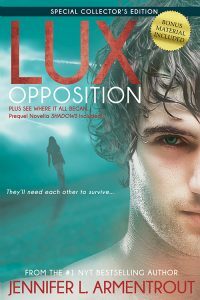 And because everyone needs a little hot alien bad boy action in their life, make sure to enter to win a signed copy of Opposition below too! 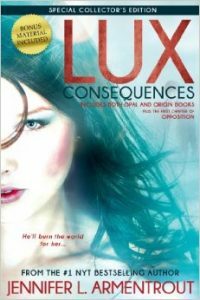 Click on each book to purchase from Amazon U.S.
Lux Beginnings is a paperback bundling of Obsidian and Onyx with bonus material included, while Lux Consequences is Opal and Origins. Wow! Great interview, so full of all kinds of news. Thanks to you both for doing it! I know what you mean! She is so likable and relatable! I say banana so much my husband gets really ticked off!